The Moriah Association of Parents, known as MAP, is comprised of parents who volunteer their time to organize a wide variety of events and activities at Moriah. The mission of the Moriah Association of Parents (MAP) is to increase Moriah school spirit and enhance the Moriah experience by providing programming for students, parents and faculty that is fun filled, socially interactive and in line with Moriah’s Brit Midot. MAP encourages parent involvement in the school thereby fostering camaraderie among the parent body and identifying and developing future lay leaders of Moriah. MAP's fundraising services offer parents conveniences that simultaneously support Moriah. The funds that MAP raises are given back to the school to support the library, improve school technology and enable purchases that fulfill particular needs of the school. MAP also facilitates well-deserved recognition events for Moriah staff and faculty. Any time of year a donation can be made to MAP to honor a person or event or in memory of someone. A special MAP card is sent to acknowledge the donation. MAP supports the annual student art contest.The contest usually takes place in the spring. During the first few days of school, MAP volunteers organize a special event to welcome students back to school and celebrate the beginning of a new school year! MAP sponsors events for the 6th Grade girls and 7th Grade boys to celebrate their Bat/Bar Mitzvah year.The event is festive celebration with students and their parents.Additionally, MAP organizes group gifts for each Bar/Bat Mitzvah student. The MAP Barnes and Noble event is an annual fundraiser at Barnes and Noble in Hackensack. It is timed to coincide with Chanukkah and is a great opportunity to purchase Chanukkah gifts! The Book Bonanza is a fundraiser that brings a book fair to Moriah. Students have the chance to visit the fair with their class during the school day or they can visit in the evening with their parents. The Book Club is a monthly discussion group for parents led by a Moriah faculty member. Book club members all read the same book and meet up for a guided discussion of the book. Box Tops are collected monthly by MAP volunteers.Every Box Top is worth 10 cents and every penny collected goes back to help support students, teachers and academic programming. The more Box Tops collected, the more money that comes back to Moriah for the classrooms! Candy and toy drives are held during the school year by MAP and all items collected are donated to worthy charity organizations. MAP volunteers organize class gifts for the teachers for the Kindergarten Graduation, 1st Grade Siddur Party and 2nd Grade Chumash Plays. MAP volunteers organize the annual student professional photographs. MAP sponsors the Early Childhood Night Out events to bring together parents for a fun night out! MAP volunteers assist with the 8th Grade graduation and organize gifts for the teachers. Holiday goodies such as Chanukkah candles and Bedikat Chametz kits are given out to families by MAP to enhance the mitzvots of the holidays. MAP assists with organizing the Kindergarten Shema Party, which is a special night out for the Kindergarten classes!  The Kosher Clipper card provides discounts at many stores and restaurants in Bergen County and online.The Kosher Clipper card involves an annualone-time purchase to access the discounts. The Library Benefit, spearheaded by MAP, is a fundraiser to support the ongoing and expansion costs of the school library. To begin the school year in an exciting way, MAP sponsors the Middle School Scavenger Hunt, which is a great team building event! MAP volunteers organize the annual Mishloach Manot for the Moriah faculty. MAP organizes Kids’ Mishloach Manot, so that families can easily purchase Mishloach Manot to give to their childrens’ friends. The Mother’s and Father’s Day Boutique, managed by MAP, allows students to purchase an inexpensive gift for their parents for Mother’s and Father’s Day.Students visit the boutique during the school day with their class and have a wide selection of trinkets to choose from to give as gifts. MAP organizes the teacher gifts for specific Nursey/Pre-Nursey shows. Pesach candy is sold by MAP volunteers as a school fundraiser. The Purim Chagiga, organized by MAP, is school-wide Purim Carnival with bounce houses, games, activities and music! MAP coordinates the sale of Rosh Hashana greeting cardsfor purchase during the holidays. MAP volunteers arrange the sale of Moriah School spirit clothing. All “Spirit Wear” can be worn as a part of the school dress code. As a huge convenience for parents, school supplies can be purchased through MAP.Supplies are grade specific and are in students’ classrooms on the first day of school. MAP sponsors an annual “thank you” luncheon for the teachers at the end of the school year arranges Chanukkah and year end gifts for the teachers.Parents can opt into the gift program for teachers at MAP Registration time each year. MAP welcomes new families to the school with welcome packages and other events. Zumba night, sponsored by MAP, is an energetic night out for parents to socialize and get some exercise!